An Orlando Mortgage Broker, Sorci Home Solutions is your one-stop source for all of your mortgage needs! At Sorci Home Solutions, customer satisfaction is our highest priority. We strive to bring you the highest quality mortgage products and services available at competitive rates. Our experienced and knowledgeable mortgage brokers will help guide you through the loan process to create a program tailored for your specific needs. Our customer service is number one. Our friendly staff can provide you with your mortgage pre-approval with-in 24 hours. To thank you for choosing Sorci Home Solutions we developed our **New Home Buyer’s Benefit Package to help you get settled in your beautiful new home. 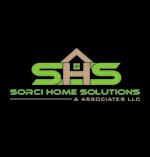 At Sorci Home Solutions we want your home buying experience to be exceptional. If SHS doesn’t close the purchase loan by the contract date for any reason and this is out of the buyer’s control, the buyer will receive a $500.00 broker credit towards their cost at closing ” We haven't missed a closing date yet!! 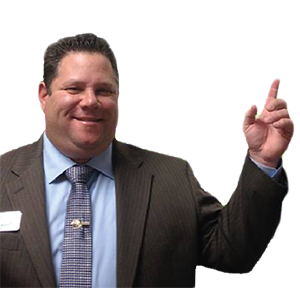 If we can’t meet or beat our competition’s Loan Estimate, we will gladly give you a $500.00 towards your appraisal or home warranty at your closing. Check out Our New Home Buyer’s Benefit Package which includes reimbursement towards your Appraisal or a Free 1 Yr. Home Warranty, Appliance and Furniture Discounts, Moving Discounts and much more. Need Help? Call Now for Answers! At Sorci Home Solutions we have variety of mortgage products that can fit your needs. From products for first time buyers, refinancings, investment properties and more we have a solution for you. Contact SHS us today to see how we can help you.